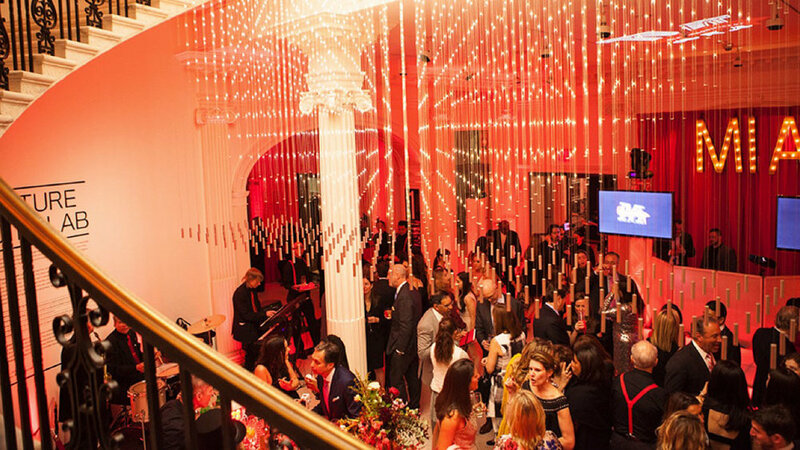 The Museum of the City of New York’s beautifully renovated landmark building on Fifth Avenue’s iconic Museum Mile is the perfect place for special events–weddings, bar mitzvahs, corporate dinners, birthday and graduation parties, and more. Standing: 350 max., Seated: 160 max. The City Museum’s Rotunda conveys unforgettable style with its Greek columns and dramatic archways. Standing: 250 max., Seated: 150 max. The gleaming Marble Court on the second floor of the Museum overlooks Central Park through three floor-to-ceiling French doors. Standing: 450 max., Seated: 350 max. The City Museum’s large 4,244 square foot outdoor Fifth Avenue Terrace overlooks Central Park and can be used for seated dinners and cocktail parties. Standing: 350 max., Seated: 250 max. The elevated South Terrace faces a beautfiul landmarked exterior and Central Park beyond. Standing: 75 max., Seated: 75 max. The elevated North Terrace provides an intimate and private outdoor space for small ceremonies and parties. Standing: 65 max., Seated: 45 max. This distinguished,wood-paneled conference room on the City Museum’s third floor features views of Central Park and is a wonderful space for a meeting or an intimate lunch, dinner, or cocktail reception.